Holland is a pretty expensive place to visit, but there are always ways how you can save money. The well-known expression �going Dutch� means that everyone pays its own expenses so be prepared that when in a bar or restaurant in Holland nobody will ever pay for you. The most expensive time to visit Holland is in April � May when the tulips are in bloom. Travelling off-season however will help you save money on accommodation and airfare. So book your trip in fall or winter (except Christmas time). 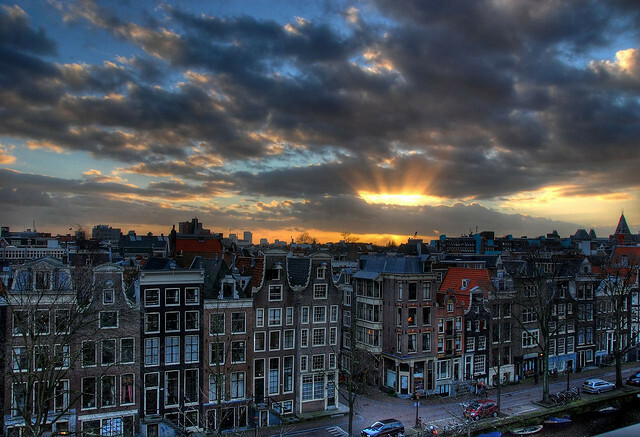 If you are going to explore the Holland�s capital Amsterdam the first thing you should do is purchase I amsterdam Card. It offers a lot of benefits for its owners. There are 24, 48 or 72 hour I amsterdam cards to choose from. They are available for purchasing online with your credit card. It can also be bought at some museums and hotels, the Centraal Station, the City Transport Company or a travel agency in Amsterdam. It gives you an opportunity for free use of public transport, free canal cruise and free or discounted admission to many Amsterdam�s top museums. It also offers 25% discount for various restaurants and attractions. Together with your card you will get a free city guide and a map. There is also a list of attractions which you can visit for free including those places where you can get a discount. Hotels in Holland are extremely expensive, that�s why not everyone can afford staying there. If you are on a very limited budget couch surfing is the best possible option for you to spend no money at all. There is a great website where you can find people from different corners of the world willing to host you for several days. Some of them will be even very glad to show you around. If you are still not sure about staying in some stranger�s house you can always book a hostel. They are way cheaper than hotels and the majority of them boast of a pretty good location close to the city center. The Dutch are well-known for their love to bikes. It is believed that in Holland there are more people than bikes. It is the cheapest way of transportation. It is safe and fast. Besides that it gives you an opportunity to experience the country like a local. In Holland and especially in Amsterdam you will see a lot of open-air markets. These are the best places to shop for souvenirs. The prices are much cheaper than in shops. Among the best presents to bring from Amsterdam are condoms (there you will find lots of different shapes, colors and sizes), traditional Dutch clogs and Dutch cheese.